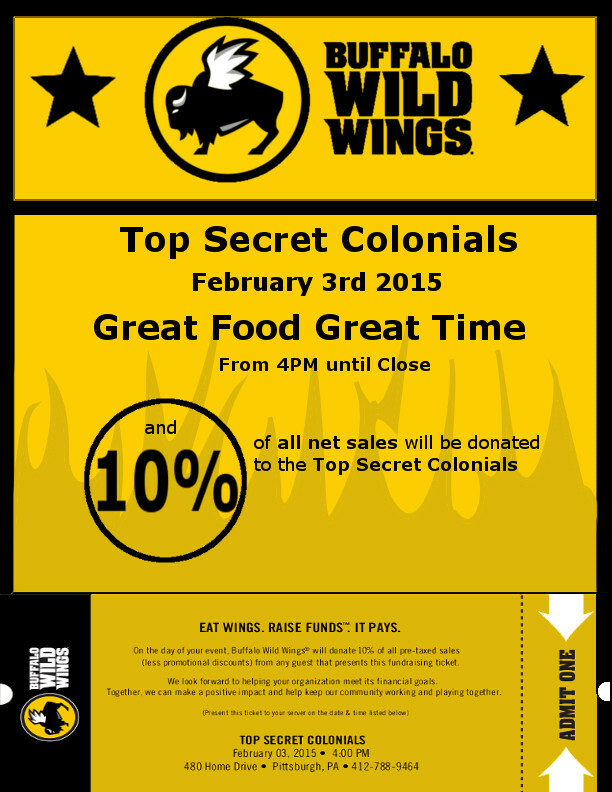 Top Secret Colonials (TSC) will be hosting a fundraising event on February 3, 2015 at 4:00pm. Come out to Buffalo Wild Wings in Robinson Township that Tuesday night for some great food and a great time! If you present the ticket below (either in printout form or on your mobile phone), 10% of your net sales will be donated to TSC! This entry was posted in events, top secret colonials on January 25, 2015 by Dr. Jamie Pinchot.